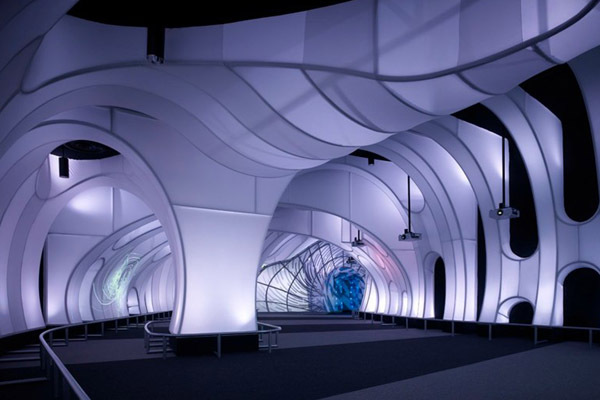 Tension fabric is a flexible, engaging architectural solution. Lighting acts as a visual stimulant. Fabric combined with lighting is the perfect marriage. Of course, it is important to consider upfront what the desired effect will be in order to choose the right fabric and the right lights. The possibilities are endless! 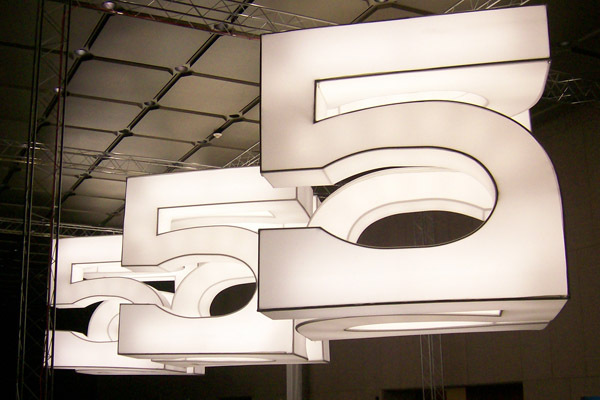 Here are a few examples of what can be accomplished when fabric structure and lighting come together. 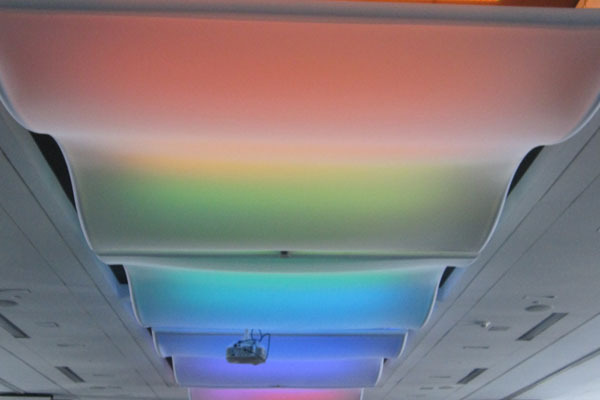 Changing color allows an environment to quickly and easily change mood. Incorporating this effect behind white fabric offers a clean, unexpected ambiance that can be customized in color based on changes within the space, whether it is event or season related. 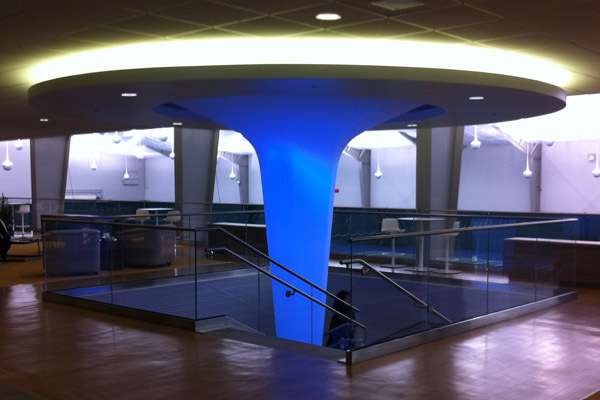 When integrating backlighting into a structure, an environment becomes unexpected and engaging. 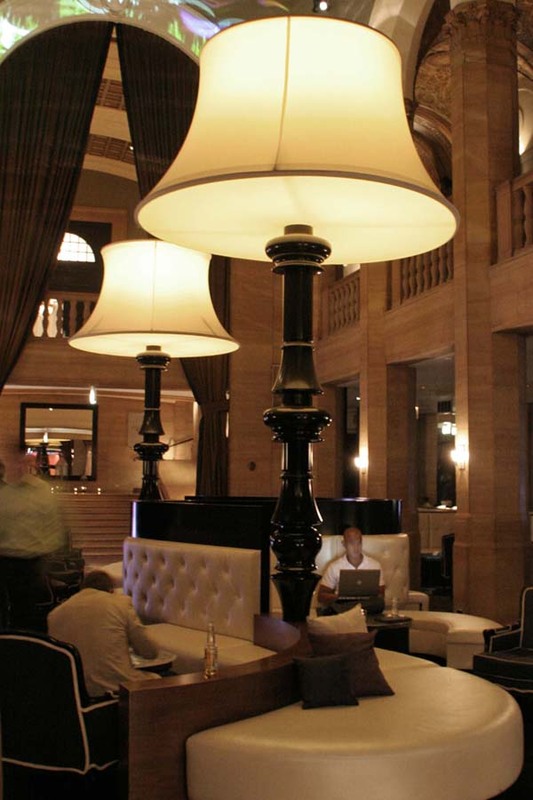 Various styles of lighting can be incorporated, depending on the desired look- whether up lighting or an all-over glow. Back lighting also offers the opportunity to use the frame structure as a decorative component. The decorative component of fabric and lighting opens the door for many details. While fabric architecture can dress a space, integrated lighting can accentuate the architecture and draw the eye to specified areas, such as edge lighting, recessed lighting or internal illumination. Not all lighting within fabric architecture is for ambiance. There is a functional component as well. The right lighting, behind the right fabric, can allow the architecture to act as the main source of light for an environment. Incorporating lighting into way finding offers an additional trigger for association by enhancing visibility. Lighting can be added behind graphics for added pop. Or, a statement piece can be created by allowing the architectural structure itself to act as the way finding solution.